Explore the beauty of Cape Town through cable car rides, floral tours and more in this relaxing two week excursion. Experience one of the most beautiful cities in the world, and then travel the coastline through the scenic bays of the Western Cape. 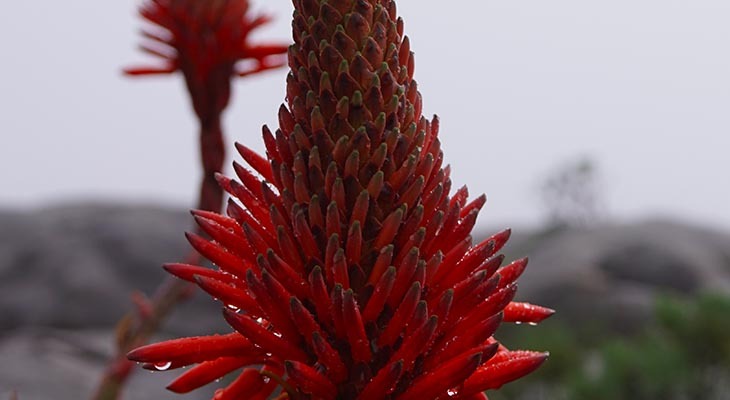 This tour encompasses one of the new 7 Natural Wonders of the World, a floral kingdom unique and indigenous to only this area, and views across the ocean as far as the eye can see. See below for a day-by-day outline! Learn more about the destinations featured on this adventure. 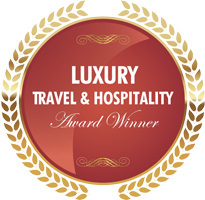 On arrival at Cape Town International airport you will be met by your guide and transferred to Lezard Bleu guesthouse where you can settle in and relax for the balance of the day (bed and breakfast basis). Morning departure for Table Mountain for the ascent via aerial cableway to the top. The Table Mountain Aerial Cableway takes visitors to the summit of Table Mountain in under 10 minutes. The cable car’s rotating floor and huge windows ensure that all passengers get a 360-degree aerial view as they head up the mountain. The cableway was first launched in 1929. Since then, many upgrades have taken place, and today the Table Mountain Aerial Cableway has state-of-the-art facilities and a well-established safety record. The two cable cars in operation take 5 to 10 minutes to reach the top of Table Mountain, travelling at a speed of about 10m (33ft) per second. The height of Table Mountain (at its highest point) is 1085m (3560ft) and the views from the top reach all the way to Robben Island and beyond. There are a number of short walks that you can take once on the top of Table Mountain, including the Dassie Walk (great views north, west and south), the Agama Walk (a popular route that gives you 360-degree views of Cape Town and Cape Peninsula) and the Klipspringer Walk (wonderful views along the plateau). 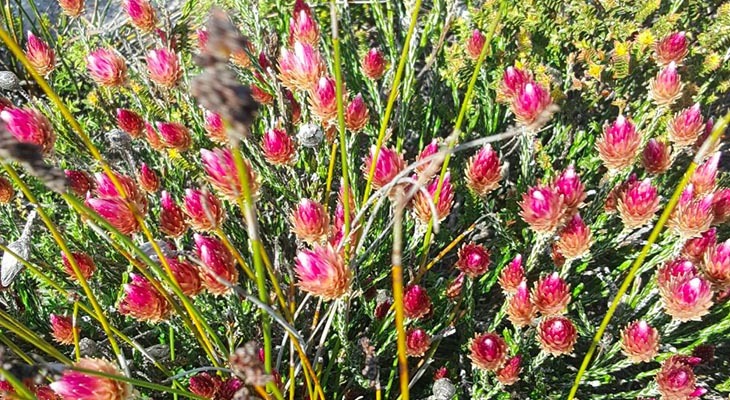 Table Mountain is known for its rich biodiversity and is home to about 2000 species of plants (more than the number found throughout the entire British Isles), most of them fynbos, which forms one of the world’s six plant kingdoms all on its own. Time permitting we will spend the balance of the day exploring Cape Town and surrounds. Overnight Lezard Bleu Guesthouse (bed and breakfast basis). Our day begins at Kirstenbosch Botanical Gardens – one of the world’s leading indigenous gardens on the eastern slopes of Table Mountain. Although it is one of the leading western cape tourist destinations, with over 650,000 visitors a year, Kirstenbosch still manages to offer a worthwhile diversity of forest and cape mountain Fynbos in a truly beautiful, relaxed and easily accessible environment. We make our way southwards to Cape Point, crossing over to Simonstown, famous for being the most accessible site for African Penguin. Approximately 1100 pairs breed here. Return to Cape Town and overnight at Lezard Blue Guest House (bed and breakfast basis). Today can be spent exploring Cape Town and its surrounds. Cape Town is a city of many attractions, a mix of cultures, landscapes, architecture, lifestyles, customs and scenery. 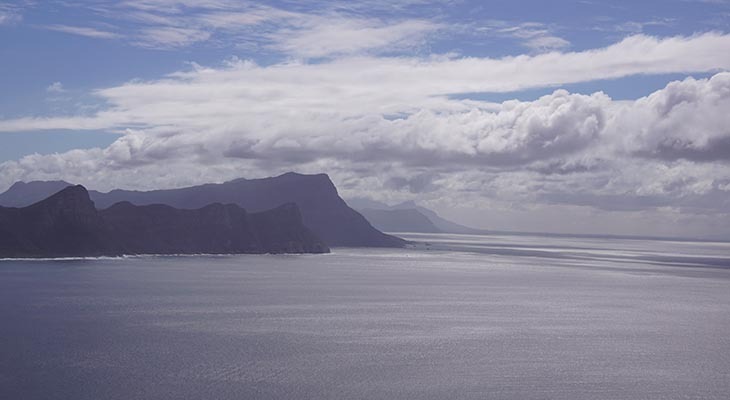 Cape Town offers you mountains, beaches, sea, rivers, wind and a wonderful climate. Your guide will be able to advise you on options for the day. Overnight Lezard Blue Guest House (bed and breakfast basis). We depart Cape Town along the wide arch of Table Bay to Bloubergstrand beach, from where you have the best panoramic views of Table Mountain, as depicted on most postcards. We continue on the West Coast Highway to Yzerfontein and on to Langebaan, known for its shallow lagoon and its profusion of seabirds. "The Farmhouse Hotel" will be our base for the night and from here you can enjoy a walk along the endless beaches at sunset. After a leisurely breakfast at this magic place, we proceed to Saldanha Bay, generally regarded as the safest harbour along the entire African coast and base of our small navy. It played a significant role in the early days of exploration of this entire region and had it not been for the lack of fresh water, Saldanha (founded by the Portuguese) would have been the mother city of South Africa. From here we head inland via Velddrif towards the N7 which leads to Namibia. We will pass Piketberg which overlooks one of the grandest valleys in the whole world, wheat lands surrounded by a circle of huge mountains, and boasts one of the loveliest old churches, surrounded by a well-kept rosegarden. We climb up Piekenierskloof Pass to Citrusdal, where - suddenly - we encounter orange plantations, fed by the Olifantsriver which has carved itself a picturesque path through these rugged mountains. 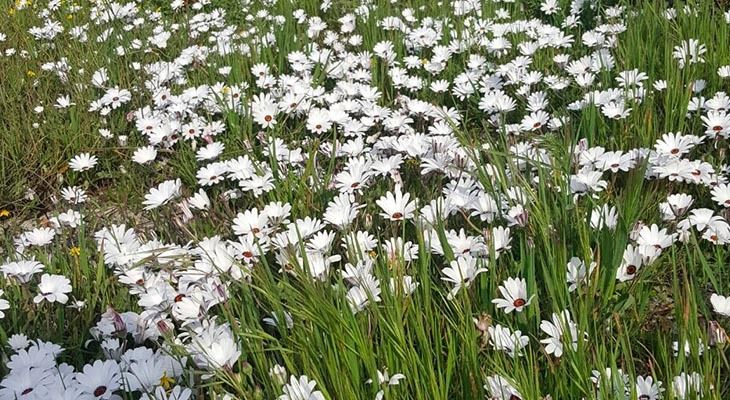 We aim for Clanwilliam, having stopped en route for lunch and a visit to a flower reserve, showcasing all the indigenous flowers of the region. We overnight at the Karukareb Wilderness Resort. This day will be spent entirely in search of the best viewing places of the flowers of the region. Usually we will traverse the Pakhuispass to enter the Biedouw Valley, one of the most reliable areas, with a picnic lunch in the old missionary outpost of Wuppertal; or we might head north to Niewoudtville or Vredendal, all depending on the weather and flower reports available from the excellent tourist information offices of the flower areas. Overnight at the Karukareb Wilderness resort. After breakfast we head north to Springbok to experience the other, much more humble extreme of this country of extremes. We pass through Klawer and will, believe it or not, encounter vineyards, stopping for a wine tasting at the local cooperative; after Van Rhijnsdorp, Bitterfontein we will reach Kamieskroon. There we will visit the beautiful Skilpad Nature Reserve, before proceeding to Springbok. Morning and afternoon After breakfast, the west coast tour takes us to Goegap, a large nature reserve outside of Springbok. A short morning hike along the escarpment, before the heat of the day will reveal the full splendor of the flowers, as they always face the sun; so it is advisable to face westwards in the mornings and eastwards in the afternoon to best view the daisies and glorious vygies (succulents) which thrive in the drier climate of the Northern Cape. This reserves has many beautiful drives and we intend to have a typical South African "Braaivleis" or barbeque at one of the many picnic sites, in the midst of nowhere but natural beauty. Return and overnight at Annie's Cottage, Springbok.game drives from Lower Sabie. Today we will start our journey back to Hermanus, but with one more exciting stop-over at the historic town of Tulbagh, totally renovated after a major earthquake hit this village in 1968. The route will take us some 460 km back to Piketberg, all along the way we are likely to enjoy passing through fields of beautiful Namaqualand flowers. Lunch at Piekenierskloof Resort or Noupoort Guestfarm, situated above St. Helena Bay with the most expansive of views. Along the R44, well-known wine route from Piketberg all the way to Somerset West, passed the Great Winterhoek mountains to Tulbagh, where we will overnight at Villa Tarentaal. Morning departure for Cape Town International airport for your flight.